Unique to ClubRunner is the Compare & Synchronize function. 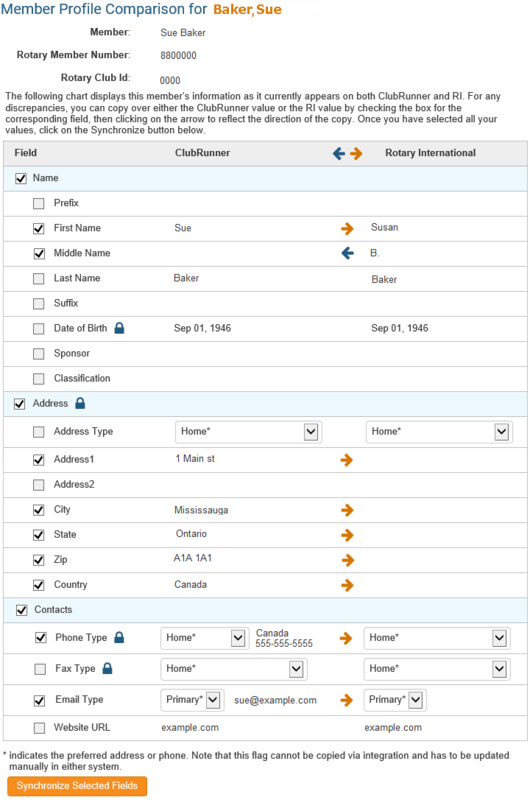 This function allows a member with access level of either "30 - Site Admin", "40 - President", or "50 - Club Executive" to synchronize the data between ClubRunner and Rotary International. To learn which types of changes and fields that can synchronize, please read the article: Supported Types of Changes with RI Integration. To use this function you must have completed the automatic integration with Rotary International. If you have not, please read the article: Set up Automatic Integration With Rotary International. 1. To access the Compare & Synchronize function, you must go to your Club homepage and login. To do this click on the member Member Login link near the top right and then enter your login name and password. 3. Along the top of the screen you will see several tabs. Click on the RI Integration tab. 4. Then, click on Compare & Synchronize. To change the Club's privacy setting please read the article called Opting In & Out of RI Integration & RI Integration settings. To change the member's setting please read the article called What is The Member Profile & How Do I Edit It? and go to the Privacy tab. 7. 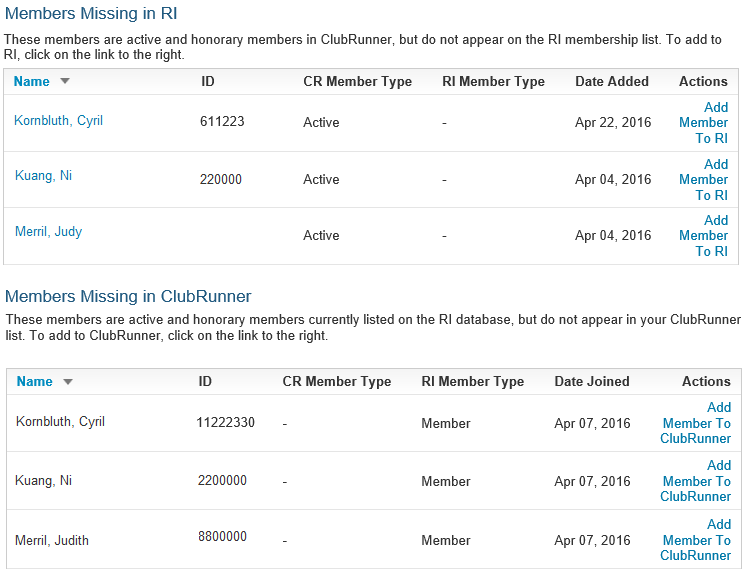 Once you get the correct member number, please enter it into the member's profile in ClubRunner. To learn how to do this, read the article What is The Member Profile & How Do I Edit It?